Marian Rivera is happy that her baby is doing fine. 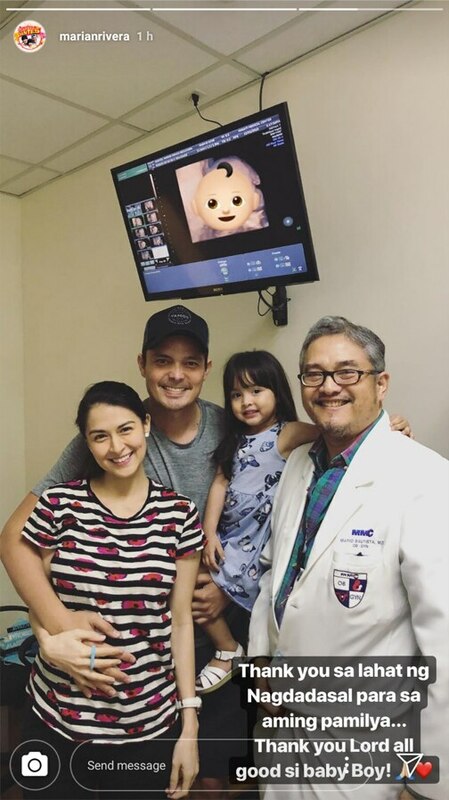 Marian Rivera updated her Instagram followers and shared the news that her baby is doing fine after her hospital visit. Her husband Dingdong Dantes and daughter Maria Letizia accompanied her. “Thank you sa lahat ng nagdadasal para sa aming pamilya. Thank you Lord all good si baby boy!” she wrote. The actress announced her pregnancy last September and they recently found out that they are having a baby boy.